Are Food Prices Going Down? There has been a substantial slowdown in food price inflation, which has been a welcome respite for consumers. The impact of the Pound’s depreciation one year on has begun to fade, figures show. 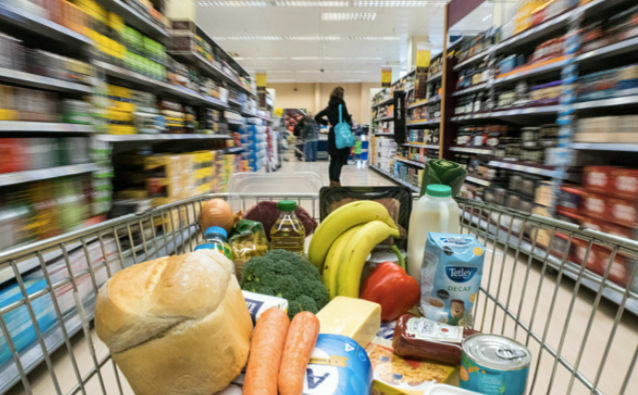 Shop price deflation accelerated to 1% in March, driven by the lowest rate of food inflation for a year, according to the BRC-Nielsen Shop Price Index. Food inflation took a significant fall as well, going down from 1.6% to 0.4%. Prices of fresh food increased by 0.3% in March, a slowdown from the 0.9% rise recorded in February, the lowest rate of inflation since March last year. Meanwhile, ambient food prices increased by 0.6% in March after rising by 2.5% just the month before. Deflation in non-food prices also eased in March, to a rate of 1.9% compared with February’s 2.2%. Helen Dickinson, British Retail Consortium chief executive, said, “As the impact of the Pound’s depreciation one year on are beginning to fizzle out, retailers are passing the positive impact though to the shop floor. “So some welcome respite for consumers, particularly with the gap between inflation and wage growth finally narrowing. This should mean that the price of food for supermarkets will go down, and they will pass the savings on to the customer. Earlier in the year, Co-Op announced it was putting its prices down but an average of 14%, so with food prices no longer being hit by inflation as hard, other supermarkets may follow suit. Do you think food prices will actually go down? Let us know in the comments. Not sure about that, to me so far it feels they are going up.